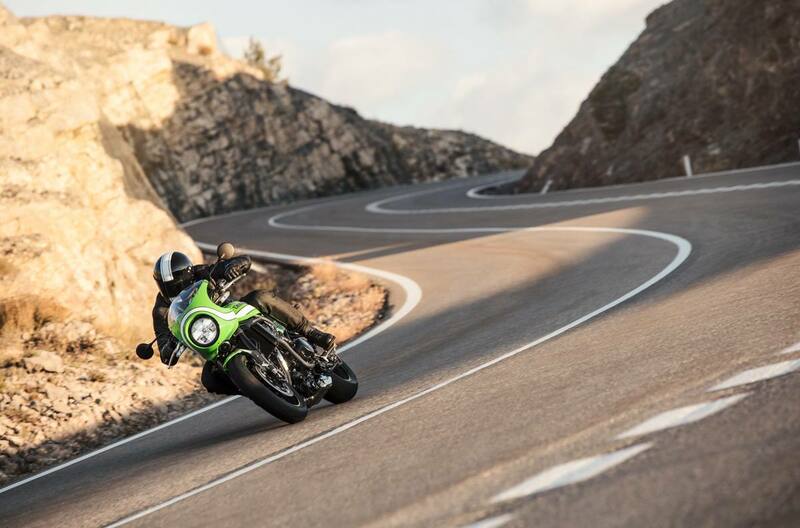 Following in the footsteps of the Z900RS, retro meets modern with the café-racer inspired all-new 2018 Z900RS CAFE. 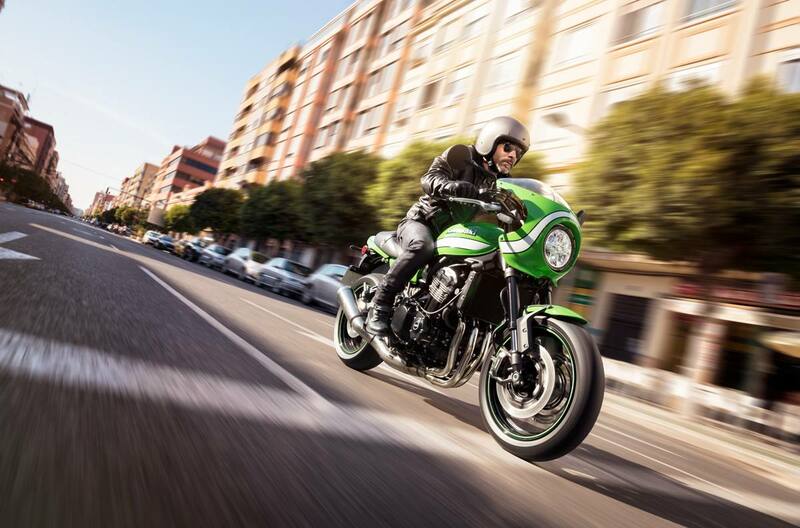 Combining authentic retro styling, a modern chassis and today’s cutting-edge technology and performance, the powerful yet friendly-to-ride Z900RS CAFE represents a modern reinvigoration of iconic motorcycles from the 1970's. 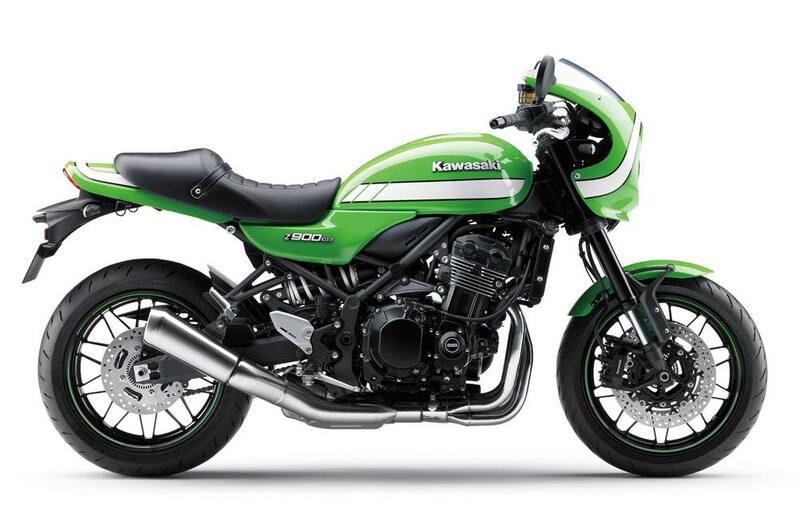 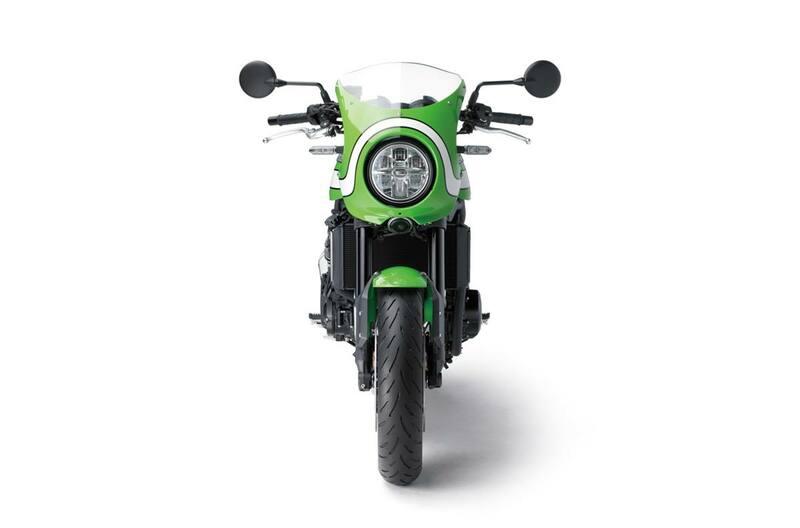 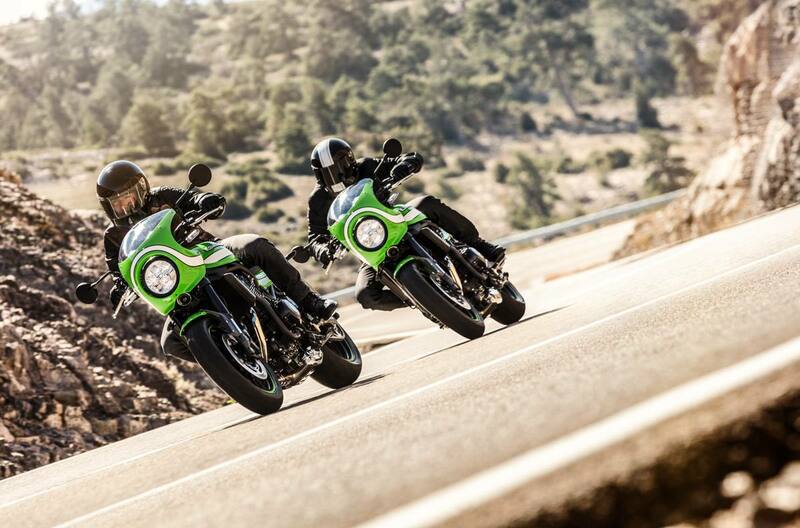 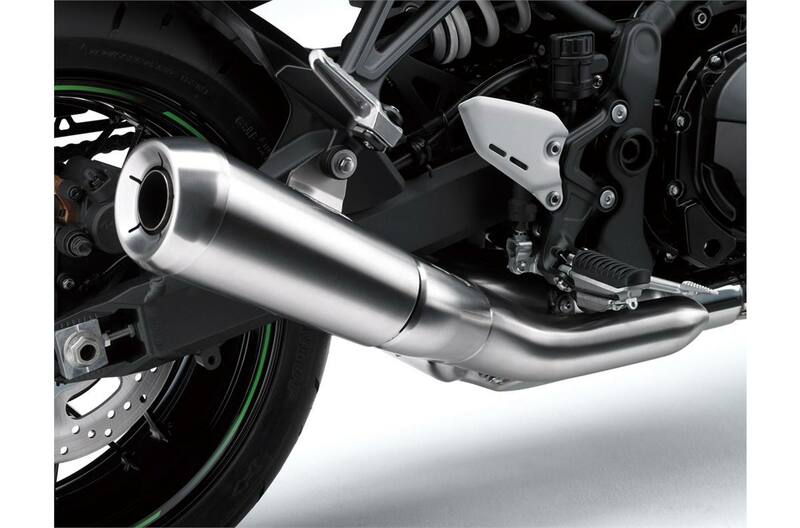 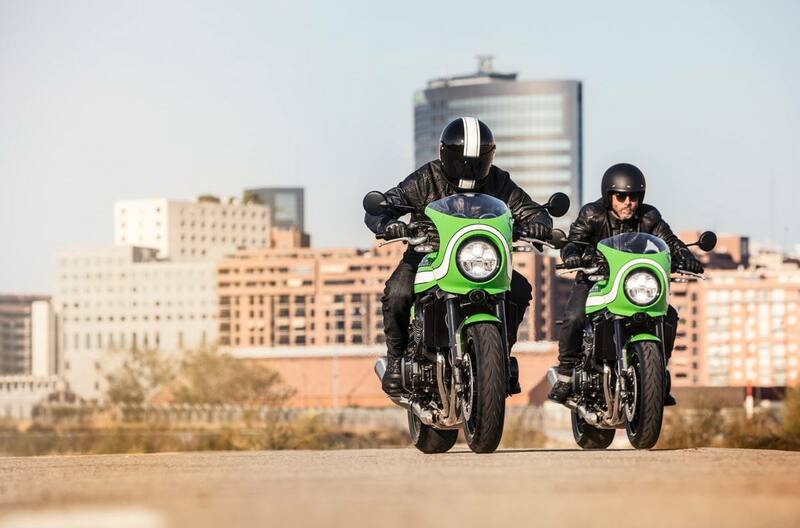 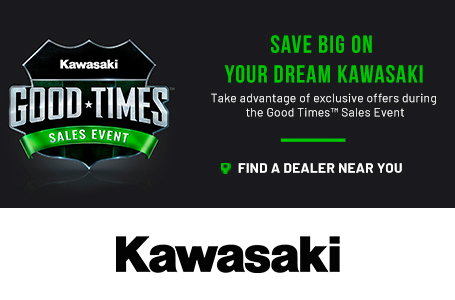 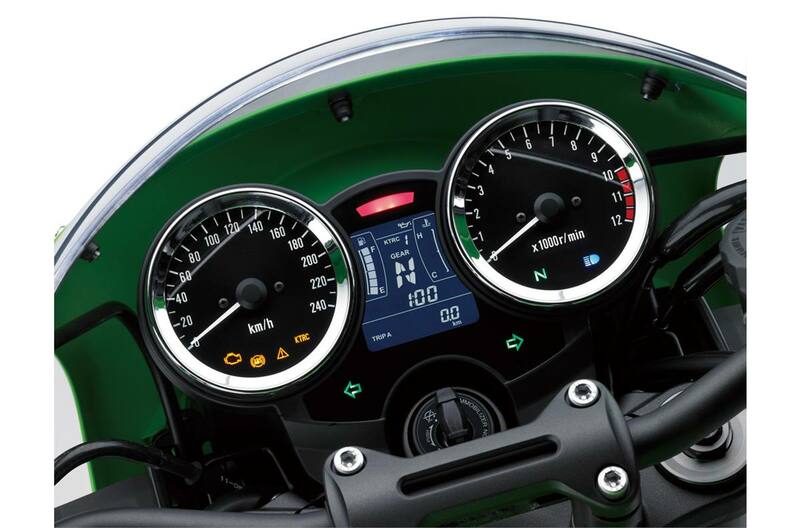 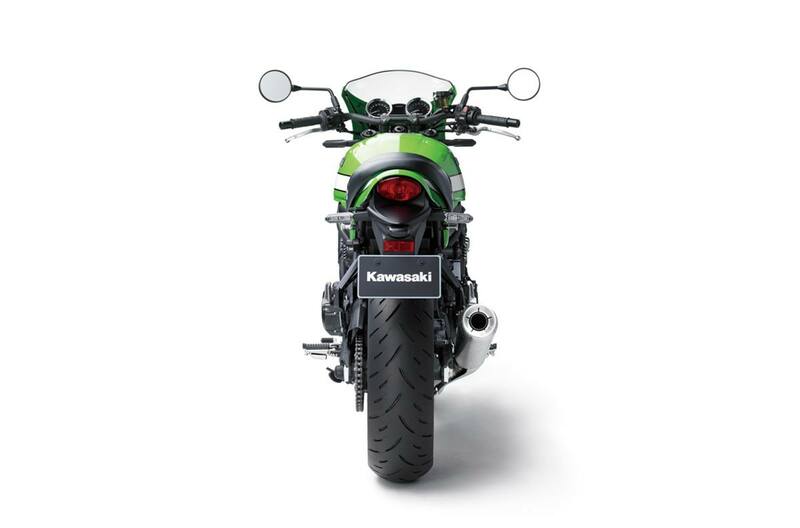 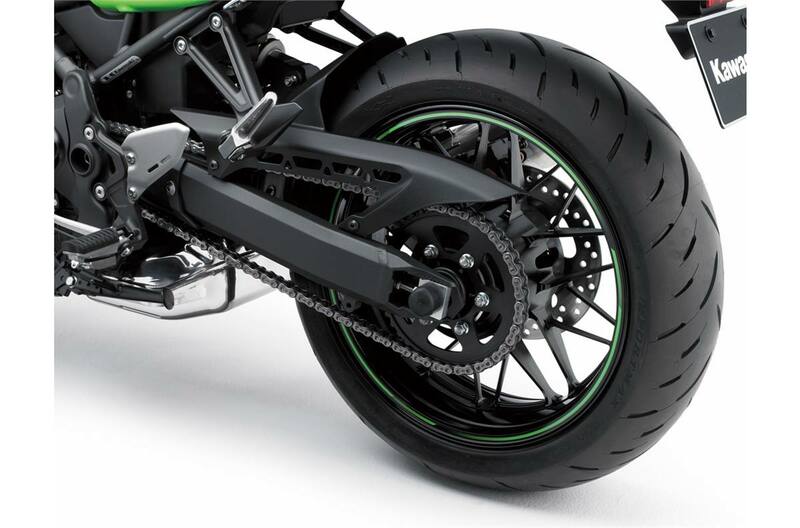 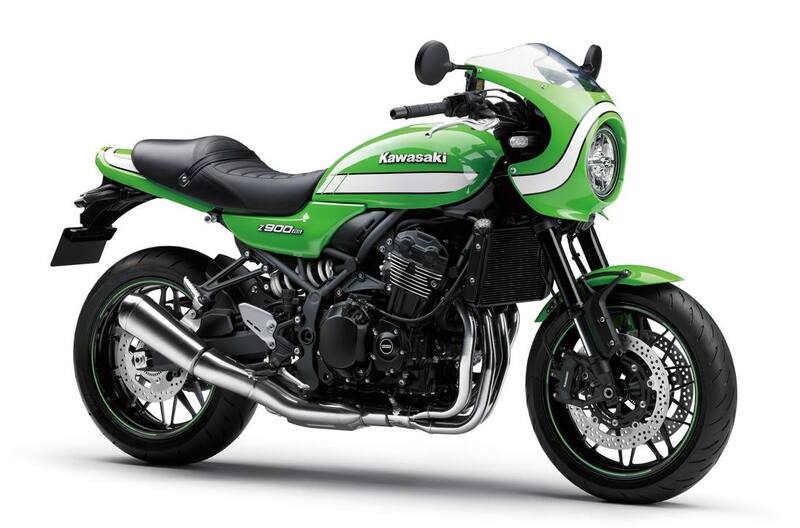 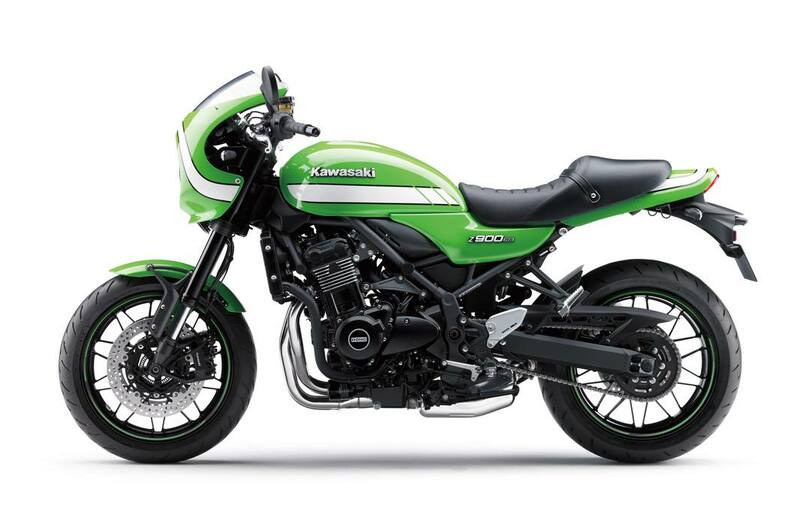 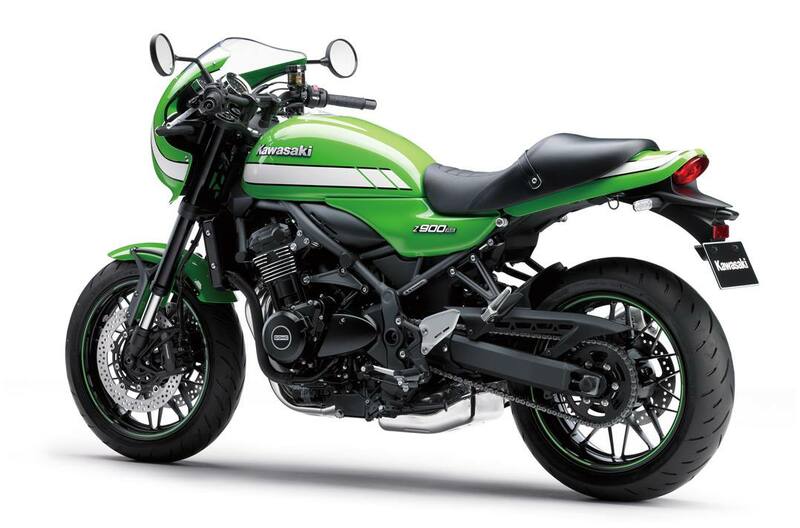 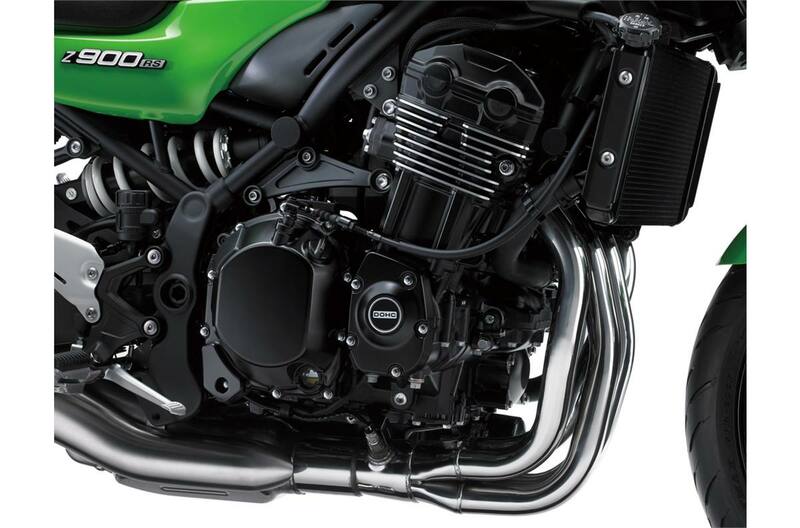 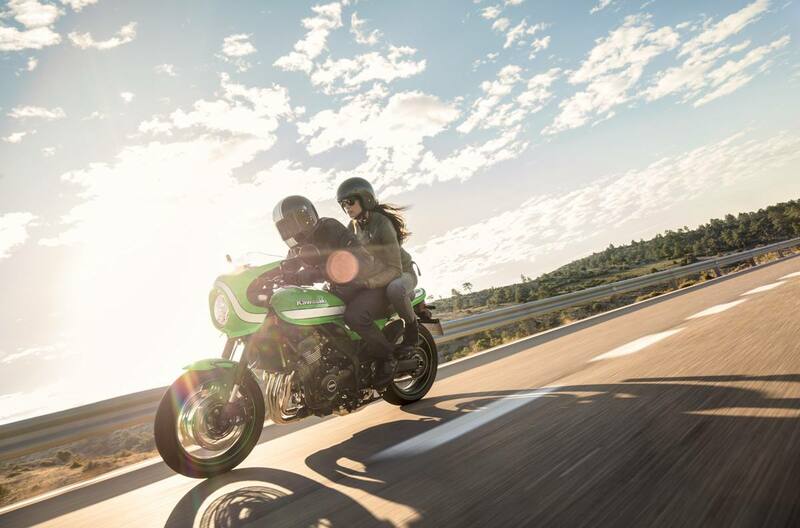 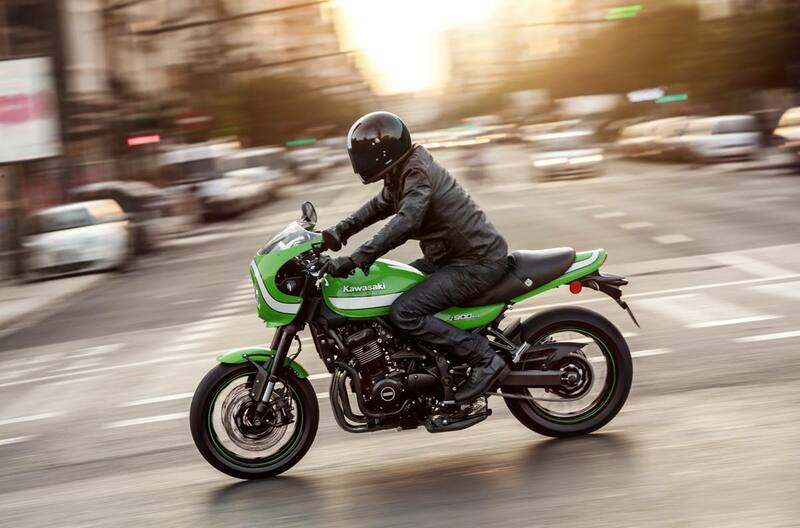 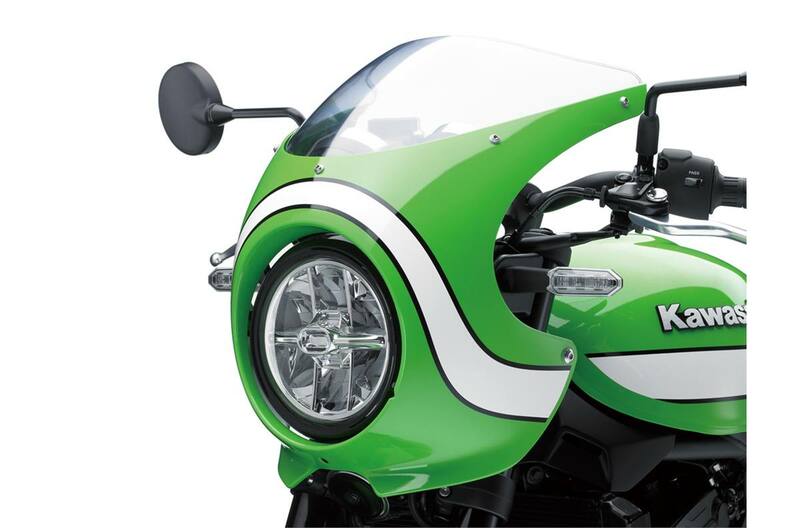 Experience the true spirit of the legendary Kawasaki bikes of yesteryear with the café-racer style front cowl, Vintage Lime Green paint scheme, green rim stripes and blacked out paint on select components. 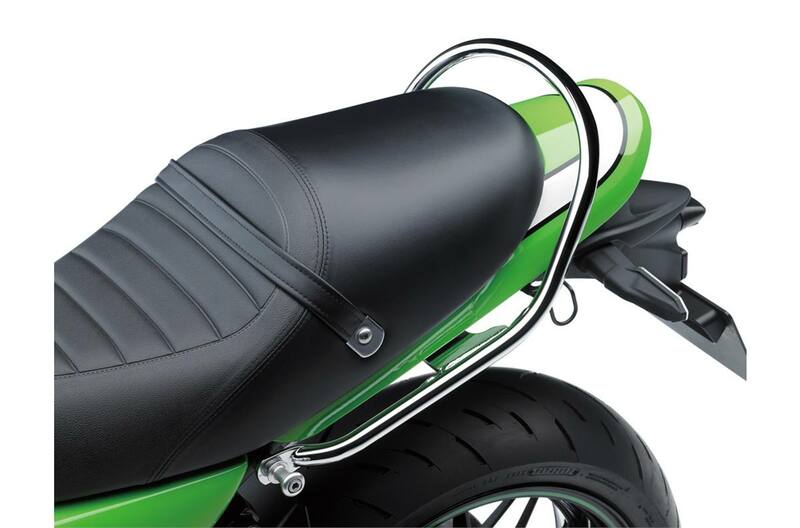 The black finished drop-style handlebar, café-racer stepped seat and tuned exhaust with brushed finish truly embody the ultimate café-racer image. 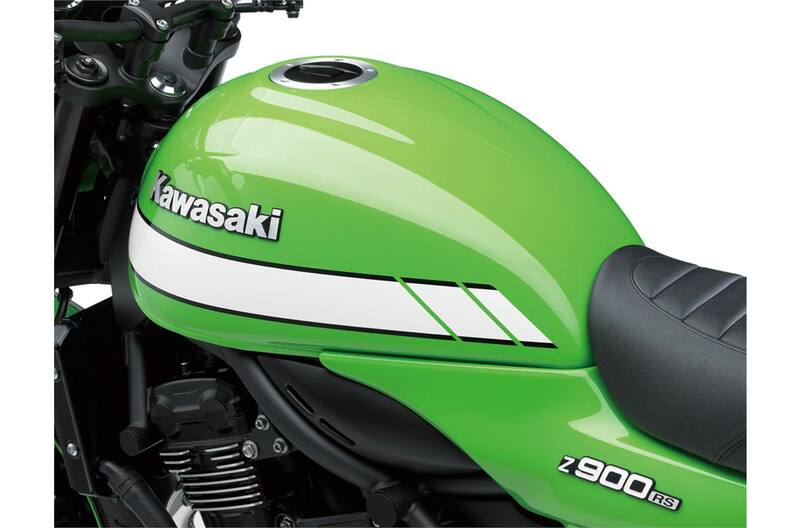 Non U.S. model specs may be depicted. 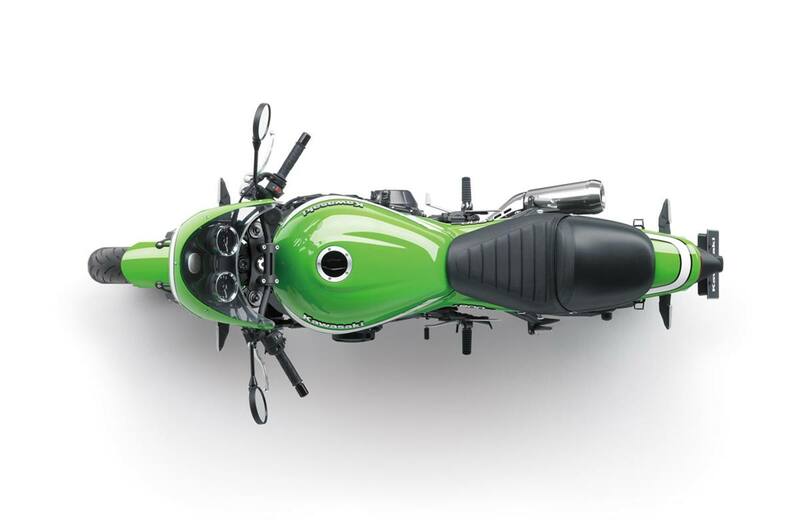 Equipment illustrated and specifications may vary to meet individual markets Curb weight includes all necessary materials and fluids to operate correctly, full tank of fuel (more than 90 percent capacity) and tool kit (if supplied). 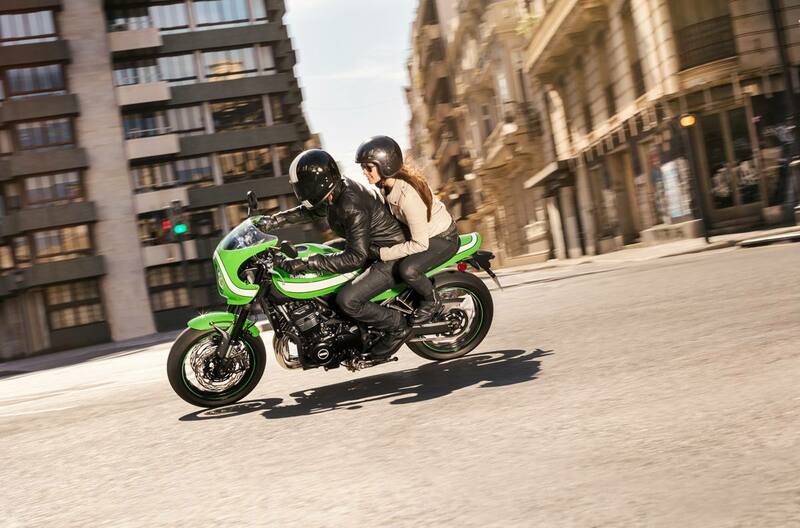 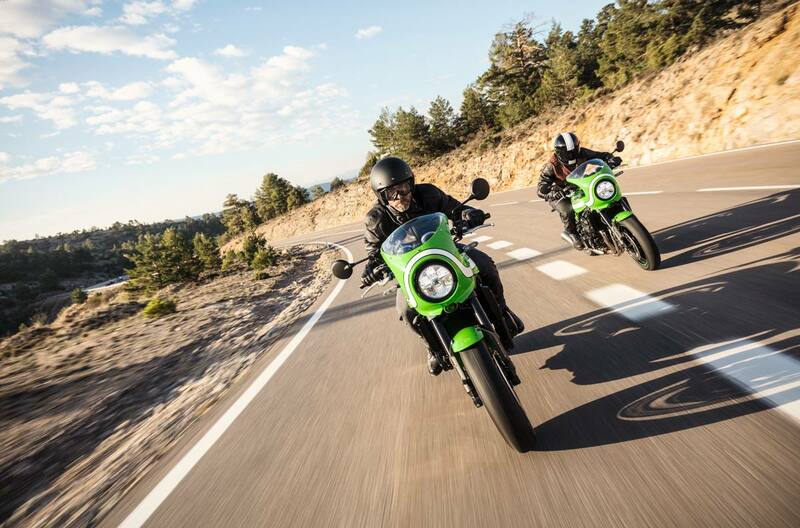 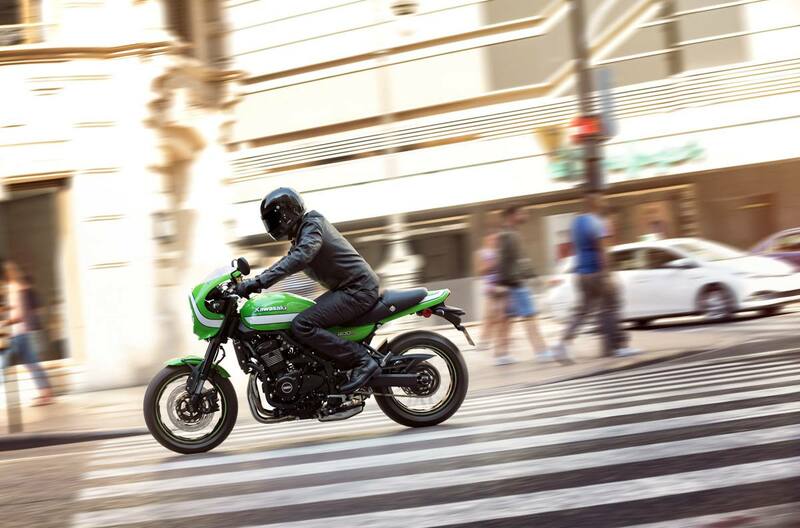 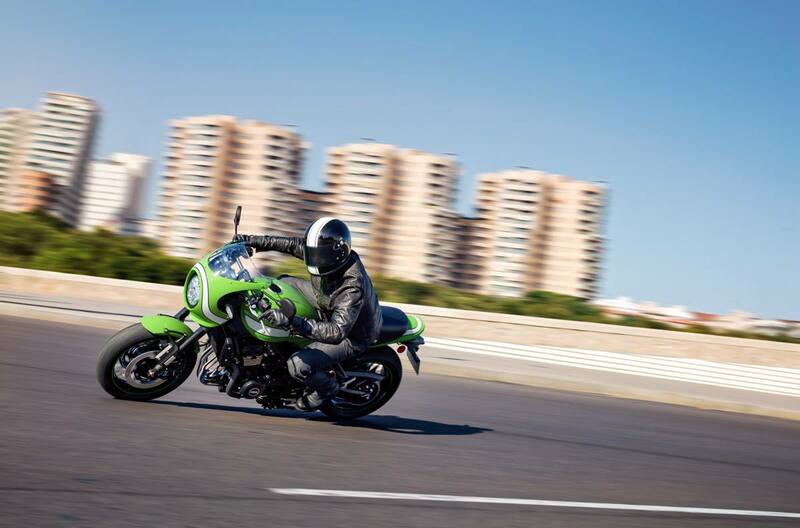 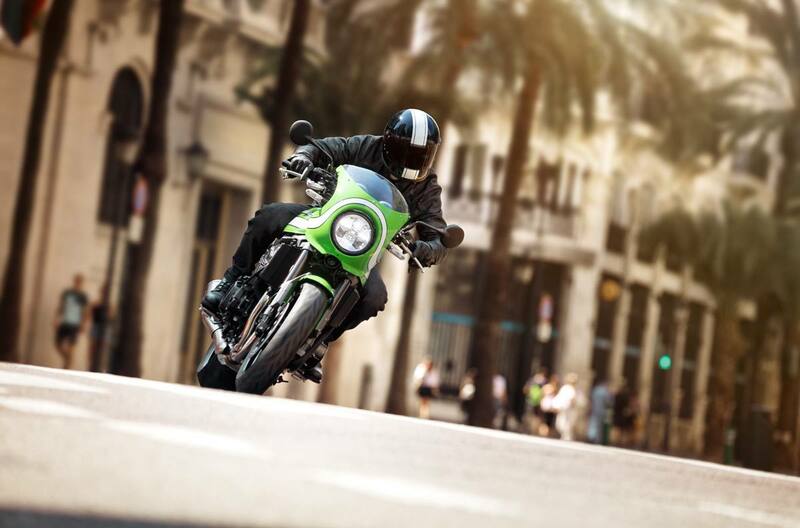 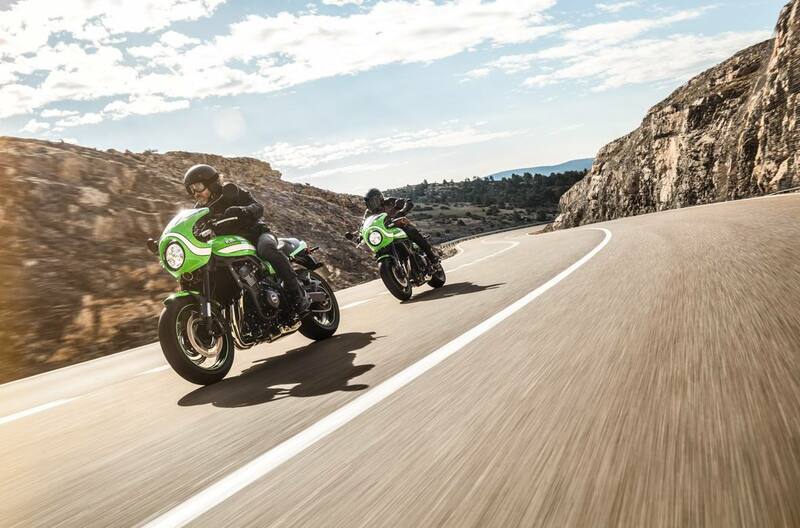 KAWASAKI CARES: Always wear a helmet, eye protection, and proper apparel. 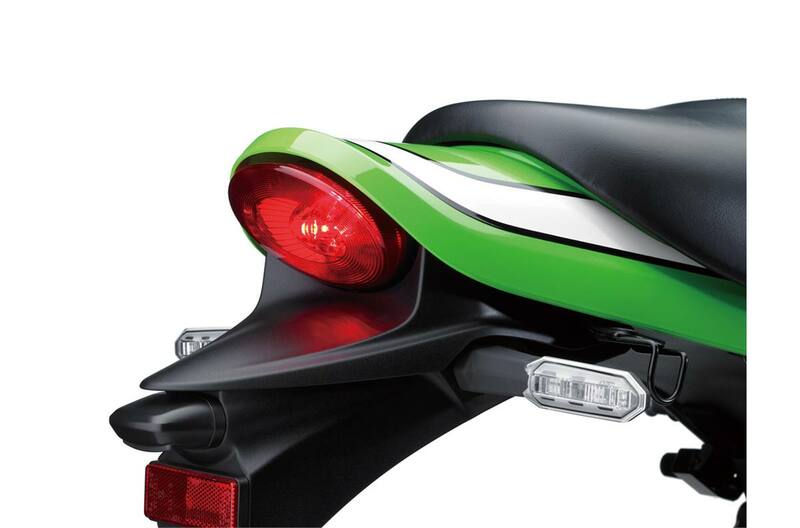 Never ride under the influence of drugs or alcohol. 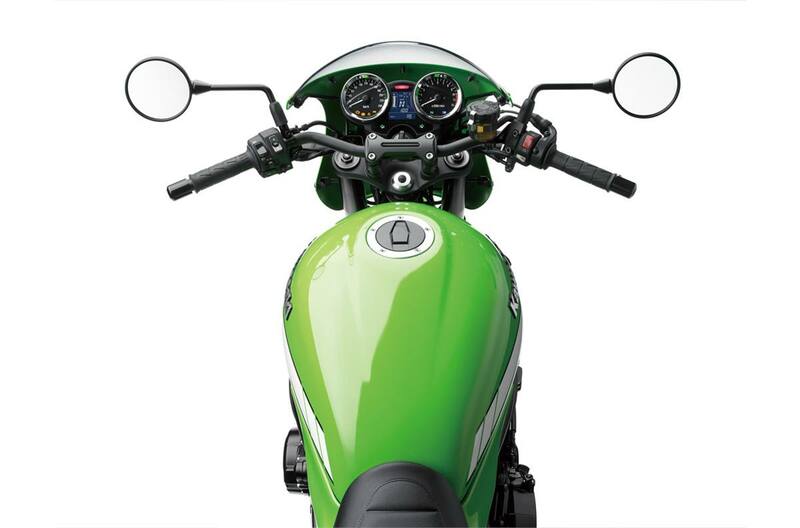 Read Owner’s Manual and all on-product warnings. 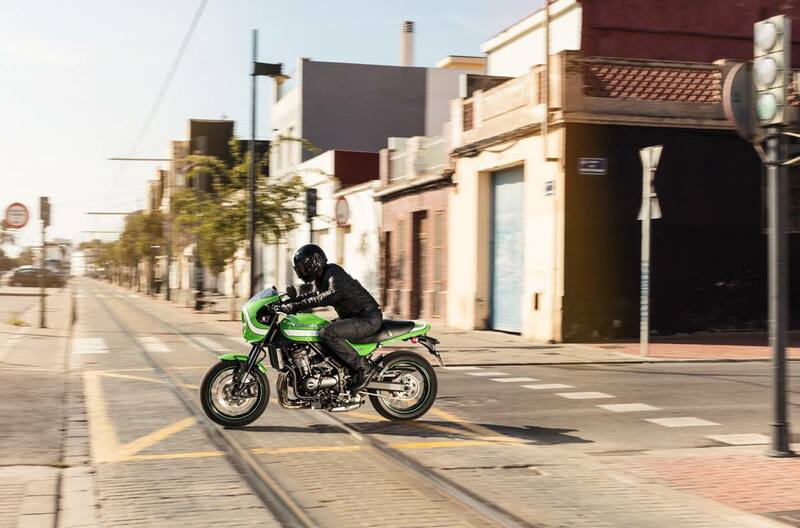 Professional rider shown on a closed course. 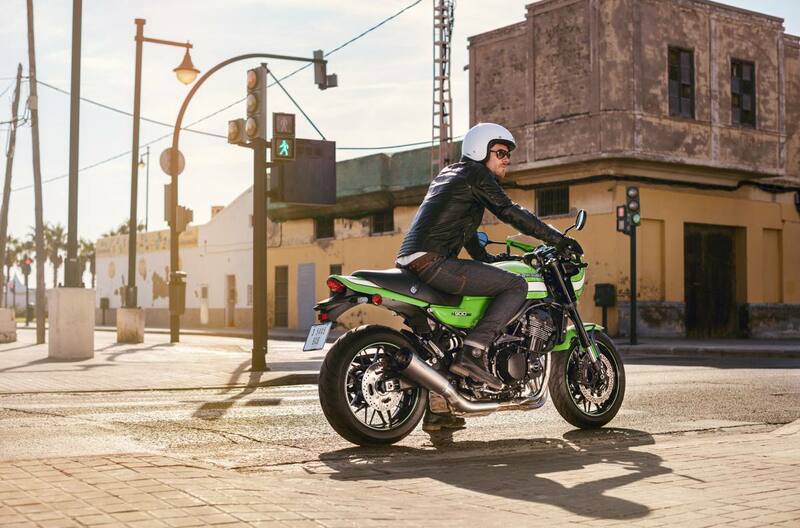 © 2017 Kawasaki Motors Corp., U.S.A.